IMPORTANT - 2019 Schedule Update! 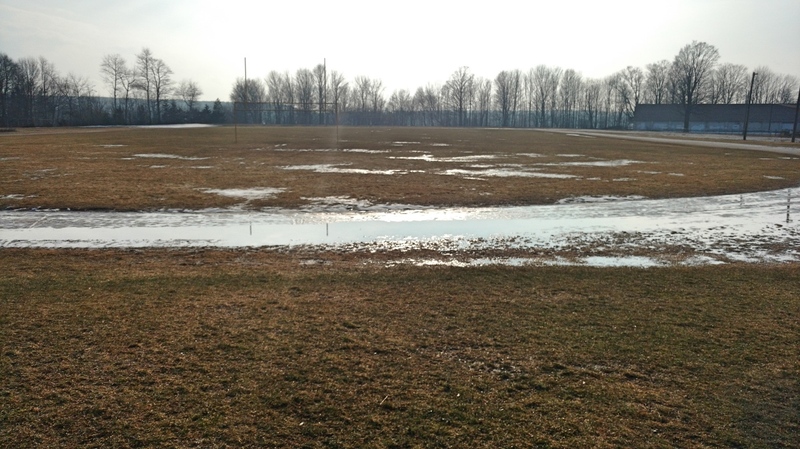 Due to field conditions the April 22 game at Kelso Beach is cancelled. Read more. Get notified of upcoming games, cancellations and field changes. No Spam! The city double-booked us at Victoria so instead of sharing the field with minor league lacrosse, we are moving to Kelso Beach for May, June & July. We’ll move back to Victoria Park in August. The Kelso Beach soccer field is really nice and right on the water so it will be refreshing to play on when the weather gets hot! 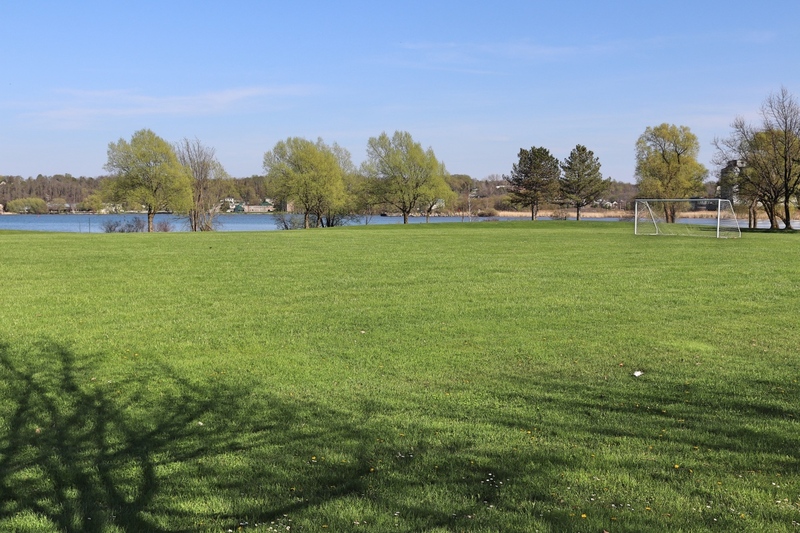 The soccer fields are located at the north end of Kelso Beach Park. Please spread the word as all of our posters are now incorrect. 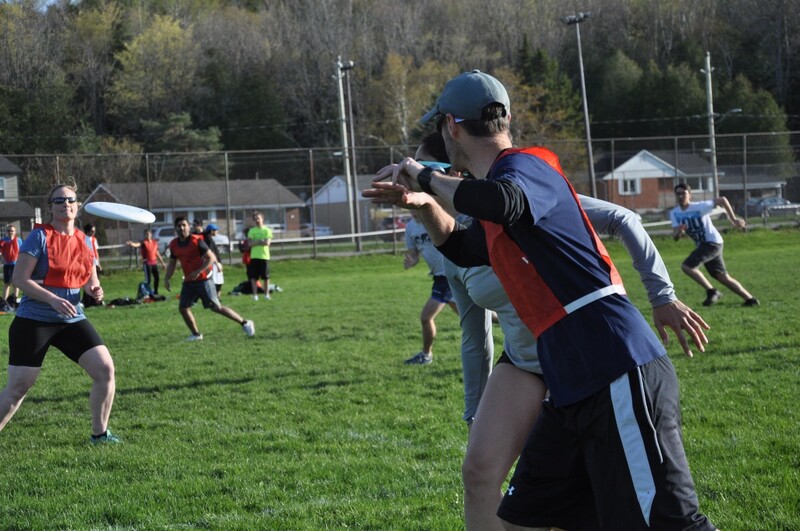 First Day of Ultimate – Monday, May 14th! The field is ready! Our first game will be Monday, May 14th at Victoria Park at 6:30pm. UPDATE: Our field has changed to Kelso Beach. Everyone is welcome to join! Any skill level. All games are coed. As you might know, we have booked the field next to the YMCA this year. And because we aren’t squatting on the OSDSS fields anymore, we have to wait for approval to play. The fields aren’t ready so we’re still waiting. I’m hopeful that we can start next Monday… I’ll let you know as soon as we get the green light. 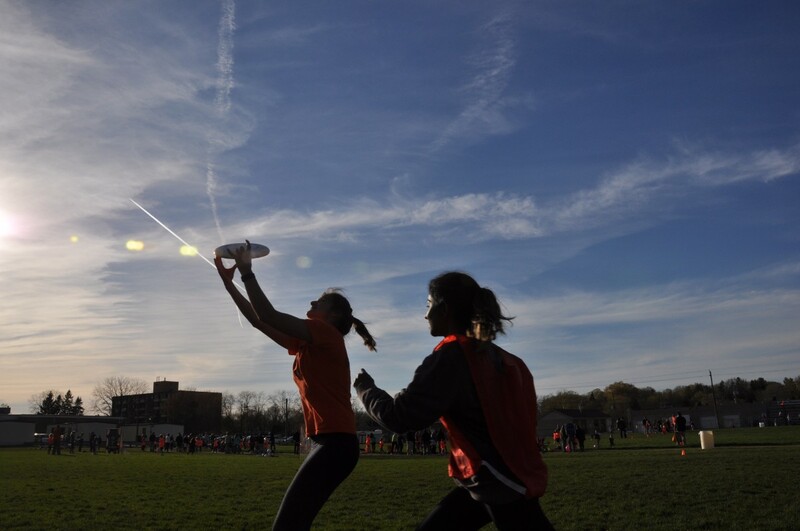 But for those who just can’t take it any longer and need to toss the disc around, we’ll be meeting at Hillcrest Elementary School @ 6:30pm tonight (Monday, May 7). Hope to see some old and new folks out. Given the rainy week we had last week, the field is still not ready for us to use. We have a sunny week coming up so hopefully this will be the last postponed week of ultimate… because I’m ready to play!!! I will continue to post weekly updates on this site and in our Facebook group about postponements so be sure to follow one or the other. City staff will require a minimum of 3 weeks to complete the field work before we are ready to open the facilities. Looking at the forecast today, we anticipate we will be able to get working on the fields the week of April 30th, and wrap things up by May 18th. The City will open facilities as work is completed and once it is safe for users to utilize the facilities. Hopefully we’ll be able to get on the field before May 18. I will keep this website and our Facebook group up to date with any news. Unfortunately the first day of ultimate is cancelled. The pic above is from the field on Thursday. The weather has only gotten worse and it’s not supposed to get any better. We will reschedule for next Monday, April 23 at 6:30pm. Hopefully the weather cooperates! The summer season is almost here! There are some really exciting changes this year. 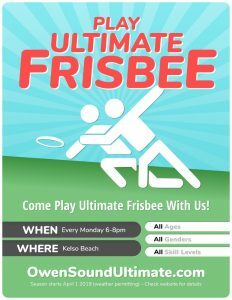 We will be playing on Mondays from 6:30pm ~ 8pm at Victoria Park. The first game will April 16th April 23rd! WHO: All ages & skill levels are welcome! COST: First 3 games are free! Never Played? No problem! – It’s easy to learn and we’ll show you how to play! View the 2018 schedule or find more information. No Indoor Ultimate March 9th. 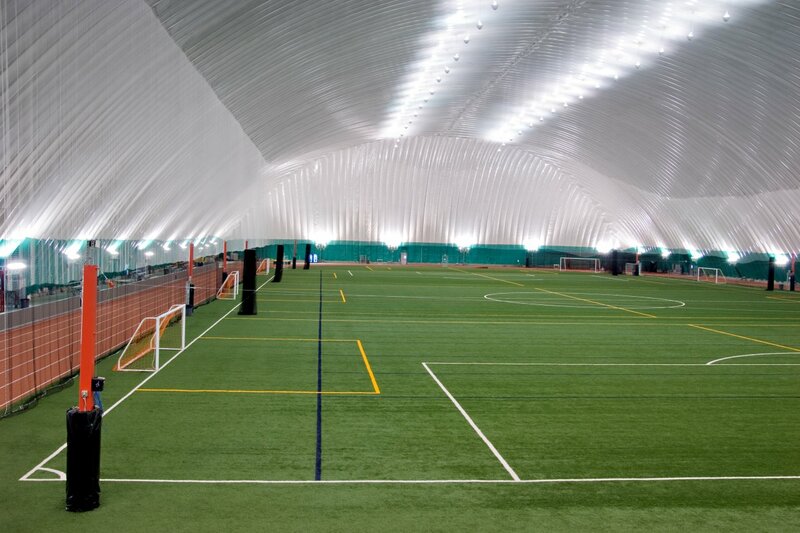 We won’t be playing indoor ultimate on March 9th due to our tournament the next day in Toronto. The next (and last) indoor game will be March 23rd at 6pm at East Ridge. Just a quick update to let everyone know that indoor ultimate frisbee will start up again Friday, January 12. We play from 6 to 8pm at East Ridge (old OSCVI). Results from the Owen Sound survey regarding the Recreation, Parks and Facilities Master Plan showed that the top three new recreational programs/ activities that survey respondents wanted to see offered in Owen Sound were an indoor turf facility, pickleball and dancing lessons for adults. You can find the new Master Plan here (PDF). You can also read more information about the December 13th meeting regarding the new plan in the article Wide interest in sports dome in Owen Sound.